Have you ever seen someone that looks like a clown because of their makeup? They may have too much, too bright of colors, too dark of colors or exaggerated lines and shapes? This video discusses several makeup pet peeves that many individuals have posted on Reddit. 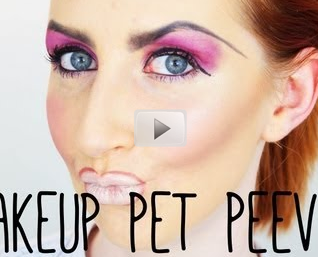 The lady in this video is a makeup artist and she shows us what these pet peeves look like. Unfortunately, the final product makes her look quite a bit like a clown. Check it out.